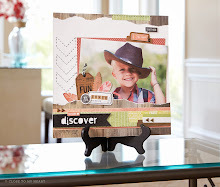 Stamp Happy: Happy Mother's Day! One of my customer's daughters contacted me and wanted to give her mom a gift certificate. Here's what I made for her. It's the exploding box we made a while back in card class. It's a little box made from patterned paper that pulls open. There's a "seat belt" that slips over the entire thing and keeps it shut. I used the Sophia papers (retired, but I still love them), decorated the "seat belt" with some Cricut flowers (made from White Daisy and Cotton Candy), sponged them and put a pearl in the center. The "box" has a space for a sentiment or gift certificate inside. It was fun to make! I hope she likes it. Don't forget about the Dotty For You special! Still going strong through May. 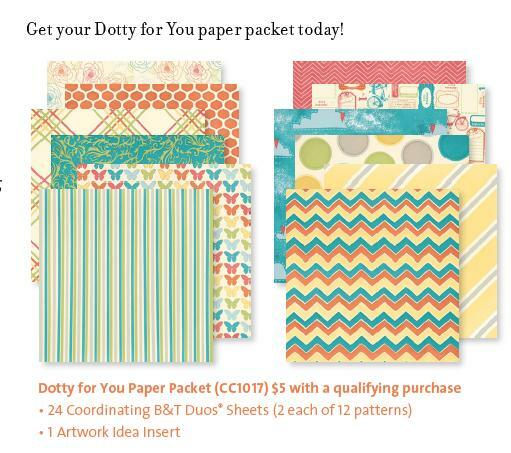 Place a $35 order from the Spring/Summer Idea Book and get the Dotty For You paper pack (24 sheets of coordinated card stock) for just $5!! Stamp Set: Simple Beauty, D1261 (retired) - I just keep this stamp for my (and my customers') annual use of the "Happy Mother's Day" stamp in it.